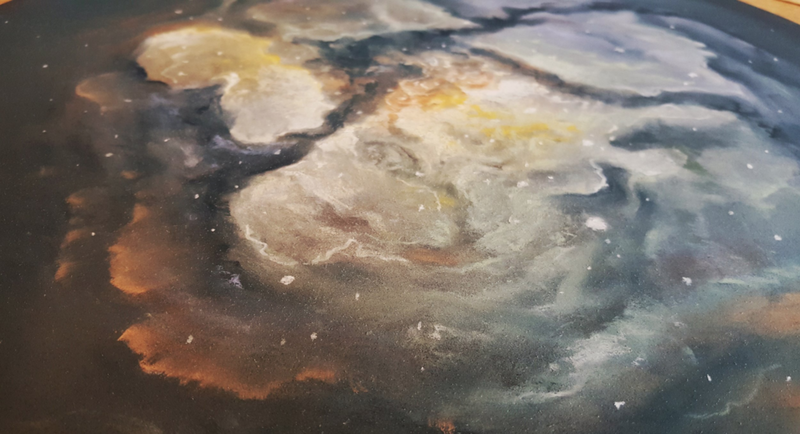 ‘The Migrants’ is a mixed media collage on paper that investigates the significance of migration from a cosmic point of view; the planning, decisions and risks that migrants undertake to try and fix a new puzzle. 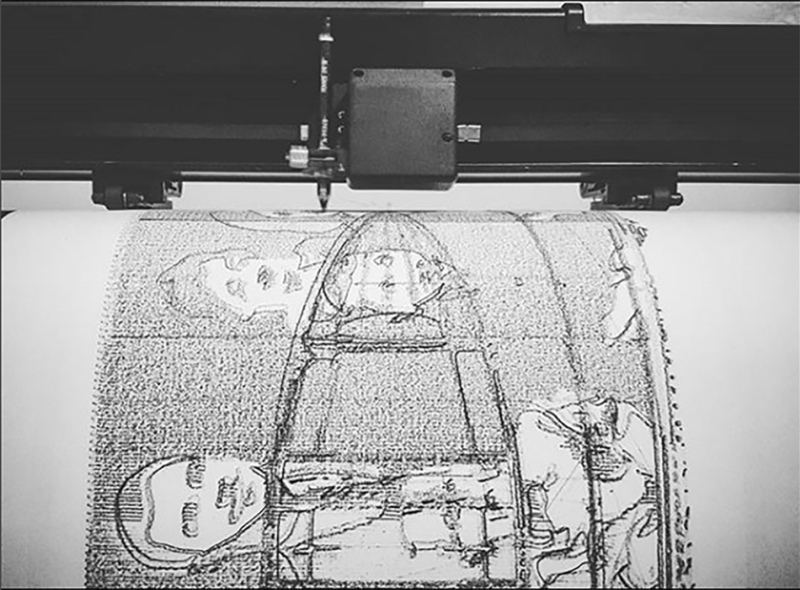 The family drawing was executed by software and a plotter (a popular printing tool used by architects and engineers) fixed with a charcoal pencil. For the rest of the collage, I used pieces of old maps, black and yellow vinyl, soft pastel drawing on black cardboard, free hand charcoal drawing and textured paper.